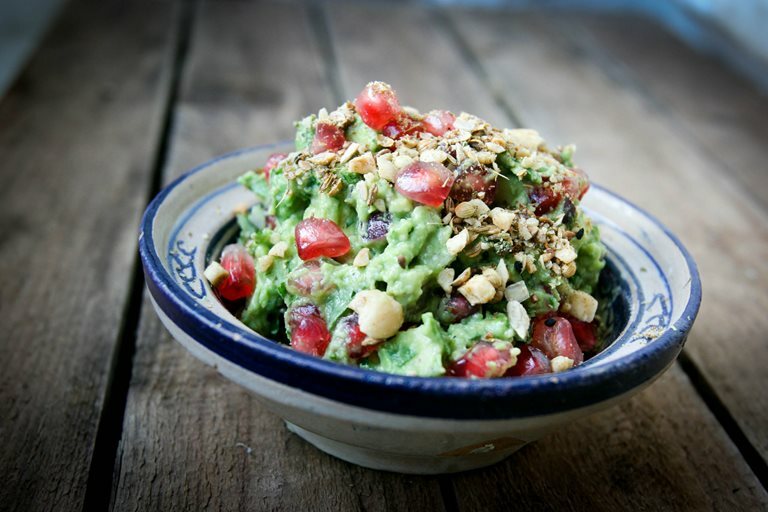 Give your guacamole a seasonal make-over with Monica's incredible winter guacamole recipe with pomegranates and dukkah. Try it once and you will probably never go back to the original. One of my visions for the cocktail party was guacamole to pair with the Mexican Martinis I planned to make. The challenge in Berlin - and many parts of Europe - is that it’s really hard to find fresh coriander. Maybe it was the Turkish influence but in my mind I started to evolve my idea of guacamole to use other herbs. I also needed an alternative to tomato which is woefully out of season in wintertime Germany. There at the Turkish market, stalls laden with bright red pomegranate and big bundles of parsley, the solution was practically screaming at me. When we got home, we realised that the aforementioned gentlemen was eager to dispose of his avocados because they were insanely ripe. But even after discarding the truly worst of the bunch, we were still left with an ample supply of avocados to play with. 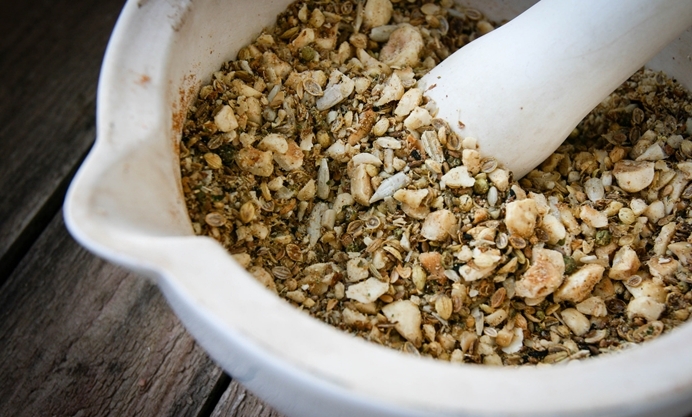 The guacamole was assembled as all guacamole should be… throw your ingredients into a bowl, mix, taste and adjust as you go. 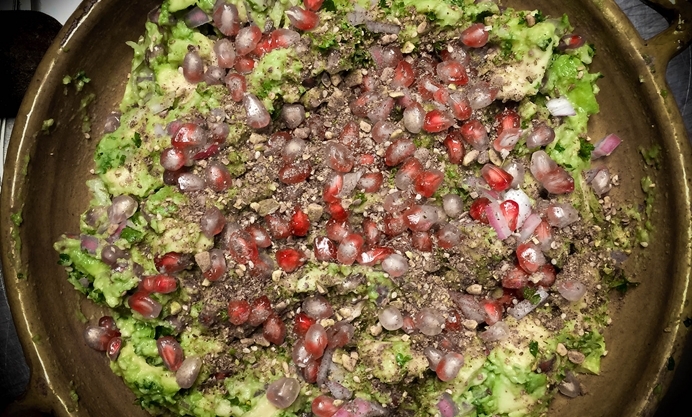 Our ingredients were avocado, red onion, lemon juice, pomegranate, parsley, salt and lots of pepper. The icing on the avocado cake, however, was the final flourish of dukkah sprinkled on top. This concoction - guacagranate? pomemole? - was so successful we made it again the next day. And it made a reprise again this last winter solstice at a tamale party in France where, again, cilantro was impossible to come by. But even back in the UK, where cilantro is readily available (a reminder of how lucky we are to live amongst such food abundance), I still go back to this, especially as we’re still in the midst of winter, and tomatoes aren’t even worth buying at the moment.